Erin M. Caton, B.S. 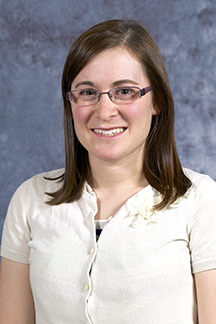 in Education, Administrative Assistant to Dean Bricker, joined Mylan School of Pharmacy staff January 2, 2014. Erin comes to us from Orlando, Florida, where she was a Business Education Teacher and Testing Coordinator. Erin originally hails from Michigan, but, after living in Florida for the last six years, her husband's job has brought her back up to the cold weather. Her hobbies include running half marathons, cross stitching, and cheering on the Detroit Tigers.